If you are having a medical emergency, call 911 or the local emergency # in your locale. Antennas are used to transfer radiofrequency (RF) energy from the external transmitter through the skin to the implanted receivers and electrodes. The system will not work unless the antennas are affixed to the patient’s skin, directly over the implanted receivers. Antennas are a durable disposable item. They are warranted for a period of 90 days from the date of shipment, but proper care and gentle handling will make them last longer. It is recommended that antennas be replaced every six months. It is recommended that patients always have a spare pair of antennas available. Antennas can be held in place using hypoallergenic adhesive tape. A suggested method for taping is shown to the right. It is recommended that tape location be changed frequently to avoid skin irritation. A thin layer of polypropylene or similar material may help alleviate skin irritation due to perspiration when placed directly beneath the antenna. Amplitude settings may need to be adjusted accordingly to maintain adequate ventilation. Alternatively, elastic netting that conforms to body shape, abdominal binders, elastic bandages, or gas permeable dressings such as Tegaderm® can be used. Include the patient’s name and address where the equipment is to be returned. Use adequate packing material to prevent damage from occurring during shipment. It is strongly recommended to use a courier which provides tracking information for all shipments. Insurance for the package may be prohibitively expensive and redundant if the equipment is covered under existing insurance, such as a homeowner’s policy. If a transmitter needs repair due to exposure to water or other fluids, please contact our technical services department for special instruction. If equipment is being shipped from outside the United States, please contact our technical services department in advance in order to prevent delays due to customs. Online ordering of antennas is no longer an option. To order replacement antennas, please call 631-864-1600 during normal business hours and select option ’3′ when prompted. Generally speaking, antennas are reimbursable as durable medical equipment. Depending on your policy, prior authorization may be required. If a HCPCS code is requested, please use code E1399. Antennas are not repairable, however, they may be returned for evaluation. Any antennas which pass visual and electrical inspection will be returned for further use by the patient. Any antennas which fail visual or electrical inspection will be discarded. There is no scheduled maintenance required for transmitters. The technical services department can provide a backup transmitter for use while the patient’s permanent transmitter is returned for repair. These backup transmitters are provided at no charge during the warranty period and can be rented after the warranty is expired. 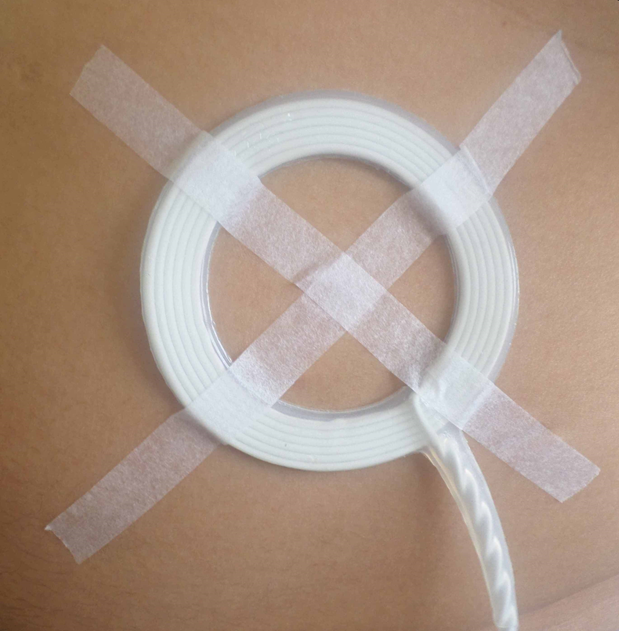 Due to production variances, differences in amplitude settings may be evident between a backup transmitter and the patient’s permanent transmitter. It may be necessary to redetermine thresholds following the procedure outlined in the Instruction Manual. Depending on the nature of the repair, a patient’s permanent transmitter may also require a small revision in amplitude settings. When returning a transmitter for repair, please include the antennas in use when the problem occurred. This will permit complete system evaluation and ensure proper repair. Technicians are available by telephone to assist with troubleshooting and technical support during normal business hours (8 AM to 4 PM Eastern Time, Monday through Friday). At other times, please leave a message and someone will return your call at the earliest opportunity. Requests of a non-urgent nature can be sent to techsupport@averybiomedical.com. Refer to the Instruction Manual provided with each system for complete instructions on the operation and troubleshooting of the Avery Diaphragm Pacing System System. Use the battery indicator lights on the transmitter front panel to determine if battery replacement is required. The battery indicators should flash during inspiratory periods. If the battery indicator fails to flash after the installation of a battery known to be good, contact ABD for evaluation and repair of the transmitter. Use the antenna indicator lights on the transmitter front panel to determine if the antennas are good and sufficient transmitter output is present. Use a spare, working antenna to troubleshoot between a suspected defective antenna and transmitter output. Antenna indicators may not flash at very low stimulus amplitudes even though the transmitter and antenna may be functioning properly. See if effective pacing can be restored at a slightly increased amplitude setting. 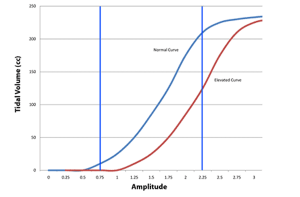 If the patient is experiencing a temporary increase in threshold, the current amplitude settings may be ineffective. Check for an infection (such as fever, pain, swelling or redness) anywhere in the body. Diaphragm pacing may become ineffective when a patient has any type of infection. Pacing at slightly increased amplitude settings during treatment of the infection may be sufficient to maintain adequate ventilation. Ensure that the patient has not suffered any trauma or other accident which may have caused mechanical damage to the implanted components.